We had prepared and were planning to release a new report this week that assesses how the US Nuclear Regulatory Commission (NRC) did in 2010 at its job of ensuring that US nuclear power plants are operated as safely as possible. Since this assessment seems more relevant than ever, we decided to go ahead with the release. 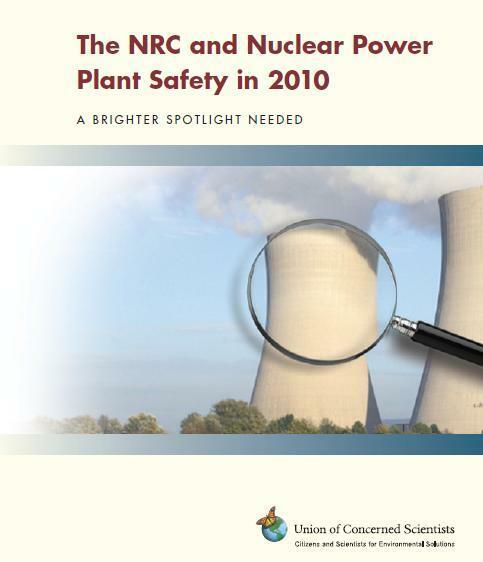 The report, The NRC and Nuclear Power Plant Safety in 2010: A Brighter Spotlight Needed, was written by UCS’s Dave Lochbaum, a nuclear engineer by training who worked at nuclear power plants for 17 years. This is the first of these assessments, which we plan to do annually. The report looks at 14 “near-misses” at US nuclear plants during 2010 and gives examples of both effective and ineffective responses to them by the NRC. It concludes the NRC can be effective, but that there are a variety of shortcomings, such as inadequate training, faulty maintenance, poor design, and failure to investigate problems thoroughly, that need to be fixed to make reactors operating in the US as safe as possible.